These two words – conjoined in their description of a subject, a state of being, at once both beautiful and ugly – have become favoured currency amongst the media in their coverage of the anti-Semitic imbroglio, and subsequent career implosion, of John Galliano. By now, we will have all seen the video – in which an intoxicated Galliano, snarling words of bigotry, invokes Hitler and the gas chamber from beneath his piratical moustache – and it will, understandably, have surprised many. The evidence of his racism is incontrovertible. Most surprising of all, therefore, has been the rush of commentators – citing reasons as diverse as alcoholism, the madness of genius, and pressures of a frenetic work docket – who have sought to wrest Galliano from the hook of public censure. What value do such fatuous statements add? Galliano’s downfall may have been swift and shocking but it came at his own hands. Having watched a member of my family struggle with addiction, I understand that – in knocking down the walls of social propriety and inhibition – alcohol lessens our ability to moderate behaviour and subverts morality. Can it go further to create, or supplant, racist thoughts and ideologies where none had existed before? My answer would have to be in the negative. Mental illness and alcoholism are corrosive – absolutely so – but, whatever the explanations for Galliano’s tirade, there can be no excuses. Only he – and not alcohol – stood as actor and protagonist in this debacle. Subsumed within the apolitical borders of the fashion industry – with its appetite for the taboo – it is plausible that Galliano has long been protected by a phalanx of cohorts either unable, or simply unwilling, to hold a mirror to his behaviour. As Alexandra Shulman, editor of British Vogue, recently commented: “We help these designers build an ivory tower and then we watch them throw themselves off it”. Indeed, it might be argued that these same people continue to shelter Galliano by proferring excuses – and diverting our attention to the nature of his genius – as though this, in some way, negates the poison of bigotry. Who could ever predict, or know, what the denouement of this plot may prove to be? There are, literally, six million reasons why Galliano’s statements were abhorrent and utterly unacceptable. Dior’s dismissal of the designer was correct. It is therefore regrettable that such swift and decisive action should be made equivocal by the patronage last week of Sydney Tolenado – President and Chief Executive of Dior – at the, admittedly scaled back, presentation for Galliano’s private label. The horse has bolted – allegedly, to rehab – but it would seem the stable door has not closed. It is, of course, tragic to witness a human self-destruct. 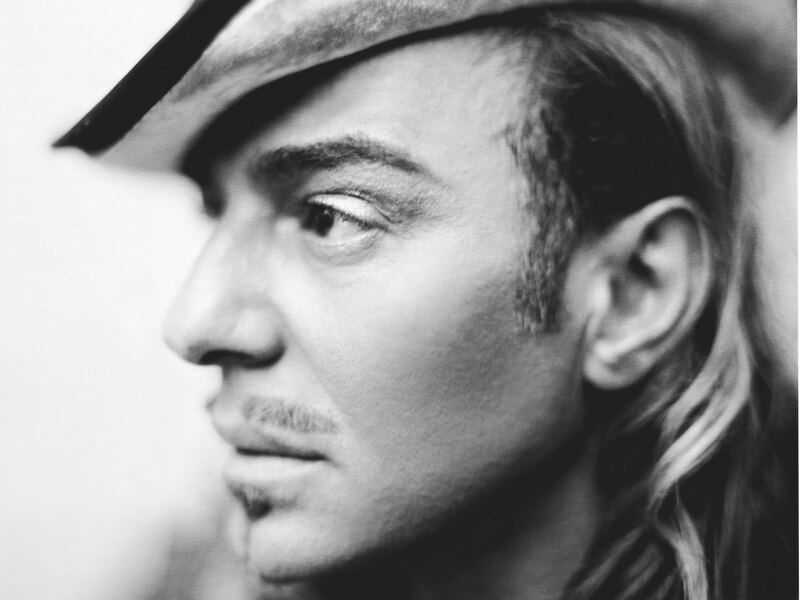 It is tragic to observe John Galliano – a designer of extraordinary thematic imagination – snuff his once glittered career. Nevertheless, we might be well-advised to remember the greater tragedy affecting, still today, the lives of all those needlessly brutalised by racism and prejudice.